Karate developed on the Ryukyu Islands in what is now Okinawa, Japan. It was brought to the Japanese mainland in the early 20th century during a time of cultural exchanges between the Japanese and the Chinese. It was systematically taught in Japan after the Taisho era. In 1922 the Japanese Ministry of Education invited Gichin Funakoshi to Tokyo to give a karate demonstration. In 1924 Keio University established the first university karate club in mainland Japan and by 1932, major Japanese universities had karate clubs. In this era of escalating Japanese militarism, the name was changed from 唐手 ("Chinese hand" or "Tang hand") to 空手 ("empty hand") – both of which are pronounced karate – to indicate that the Japanese wished to develop the combat form in Japanese style.After World War II, Okinawa became an important United States military site and karate became popular among servicemen stationed there. The martial arts movies of the 1960s and 1970s served to greatly increase the popularity of martial arts around the world, and in English the word karate began to be used in a generic way to refer to all striking-based Oriental martial arts. Karate schools began appearing across the world, catering to those with casual interest as well as those seeking a deeper study of the art. 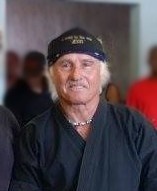 Shigeru Egami, Chief Instructor of Shotokan Dojo, opined that "the majority of followers of karate in overseas countries pursue karate only for its fighting techniques ... Movies and television ... depict karate as a mysterious way of fighting capable of causing death or injury with a single blow ... the mass media present a pseudo art far from the real thing." Shoshin Nagamine said, "Karate may be considered as the conflict within oneself or as a life-long marathon which can be won only through self-discipline, hard training and one's own creative efforts." On September 28, 2015, karate was featured on a shortlist along with baseball, softball, skateboarding, surfing, and sport climbing to be considered for inclusion in the 2020 Summer Olympics. On June 1, 2016, the International Olympic Committee's executive board announced they were supporting the inclusion of all five sports (counting baseball and softball as only one sport) for inclusion in the 2020 Games. This is very useful. Thanks.